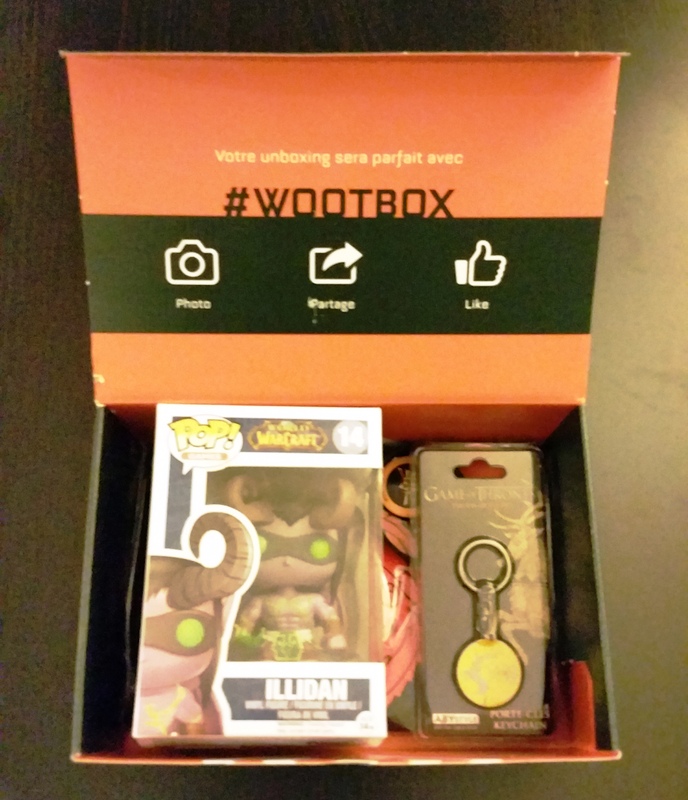 Jeuxvideo.com, the biggest video game news website in France launched not so long ago their own monthly merchandise box called the WOOTBOX. Like every other similar box, you get every month some tie-in products from various video games, comics, manga, movies and series. 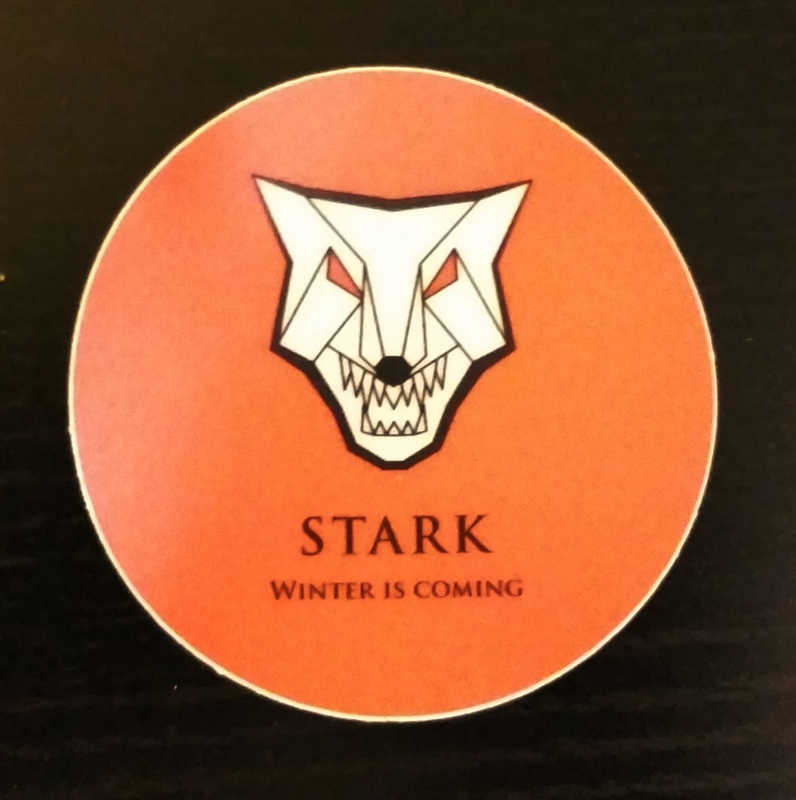 The WOOTBOX offers you some geek-related merchandise like Final Fantasy, Warcraft, Game of Thrones, Marvel, DC, etc. For those who might be wondering, this service is currently restricted to France, Belgium and Monaco. Not counting shipping fees, you pay a monthly 20€ to get a blind selection of 40€ worth of tie-in products. Just add an extra 4€ for shipping and you’re good to go. As a special prize, every month, one lucky buyer gets a special 2,000€ worth WOOTBOX! Pretty nice if you ask me. I was a bit curious about this box and decided to give it a shot. 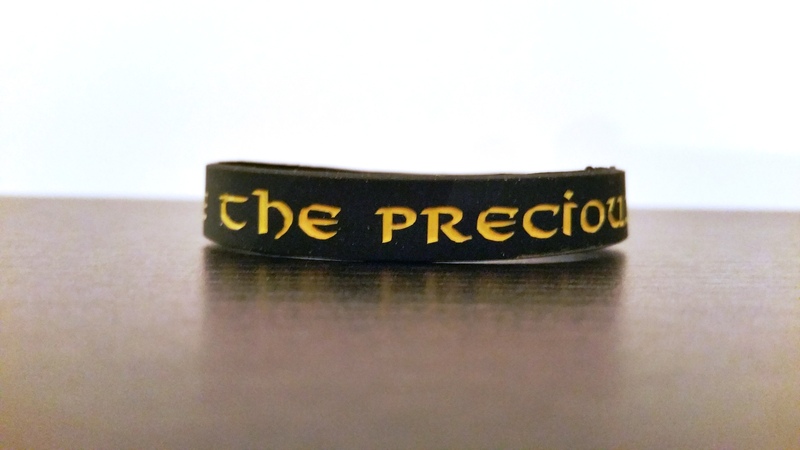 The first WOOTBOX was shipped last saturday and was themed around Heroic Fantasy. I just received mine yesterday. When I came back home, I was surprised to find it just in front of my door. The mailman just left it like this without notifying me or anything! Luckily, I got pretty cool neighbors who are no thieves. Moving on to the actual focus of this post, The WOOTBOX’s design is simple and clean, mirroring the new style of theJeuxvideo.com website: all dark grey with the Jeuxvideo.com on top and a WOOTBOX logo on one of the sides. The box was already inside another one, so it didn’t suffer too much from the shipping. Let’s talk now about the meat and potatoes of this box: the merchandise! 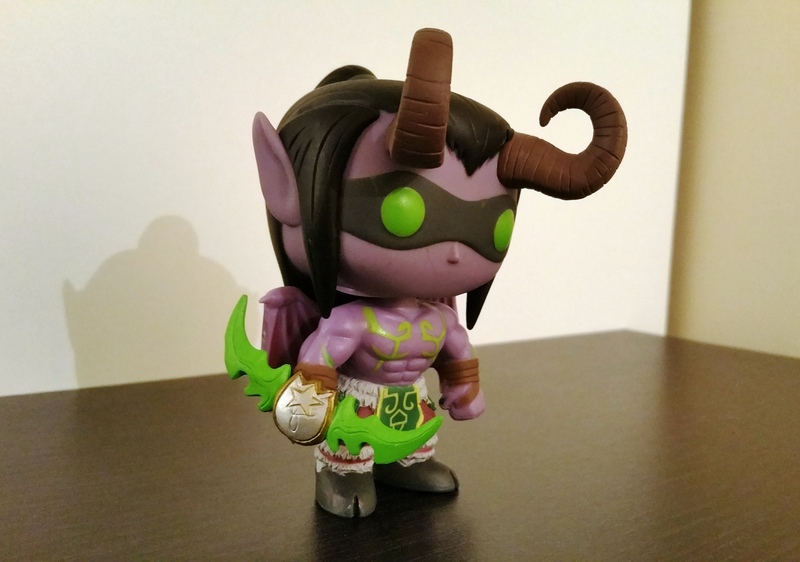 An Illidan Stormrage vinyl figurine (Warcraft) – FUNKO POP! First, the WOOTBOX offers good value for money. Just the shirt and the vinyl figurine would have exceeded the overall price of this box. Second, the products inside aren’t crappy at all. 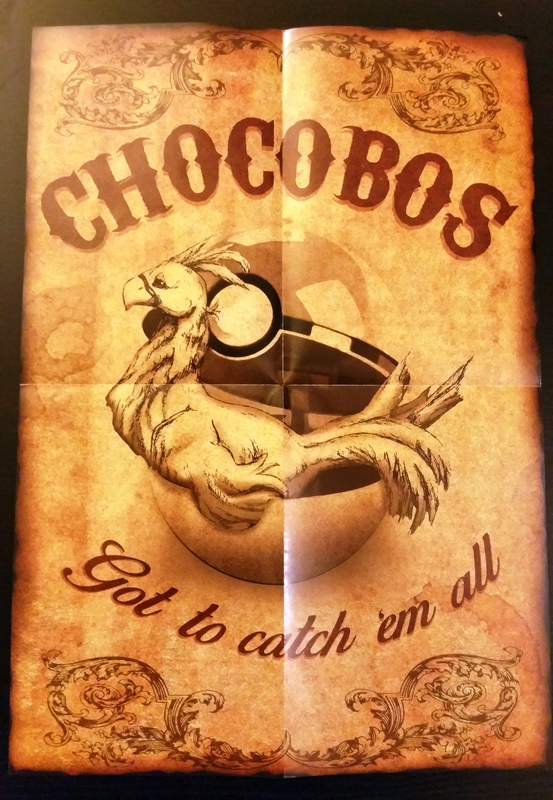 They seem like decent merchandise you would find in any other website selling this kind of goods. I especially liked the Illidan vinyl figurine, considering he’s one of my favorite characters from the Warcraft series. Third, the 2,000€ special box is a very good incentive for people to maintain their subscriptions to the service. A PC, a Play Arts figurine of Bahamut and 3 Final Fantasy figurines? Sign me in! 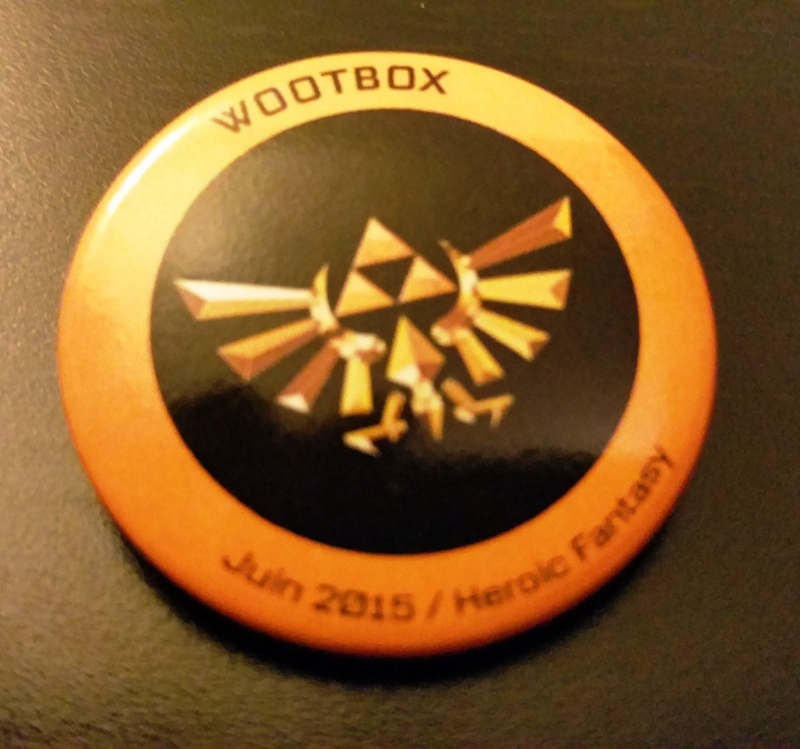 Overall, I wasn’t at first very excited when I learnt that the first WOOTBOX would be heroic-fantasy-themed. It’s very vague and you can pretty much cram in it a lot of series and franchises that don’t necessarily appeal to the same audiences. Plus, the WOOTBOX was originally marketed as a 100% gamer box. Yet, 4 out of the 7 products aren’t based on a video game license. 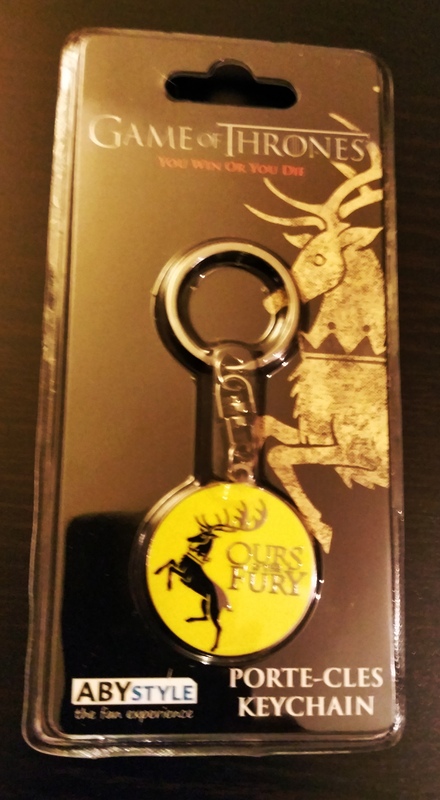 Sure, there are many Lord of the Rings video games, but still 3 Game of Thrones tie-in products? 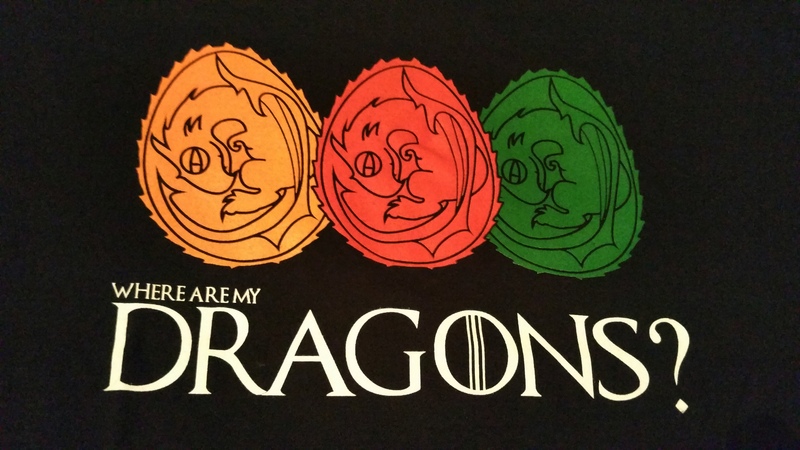 I do love me some Game of Thrones but I would have appreciated a little more variety. 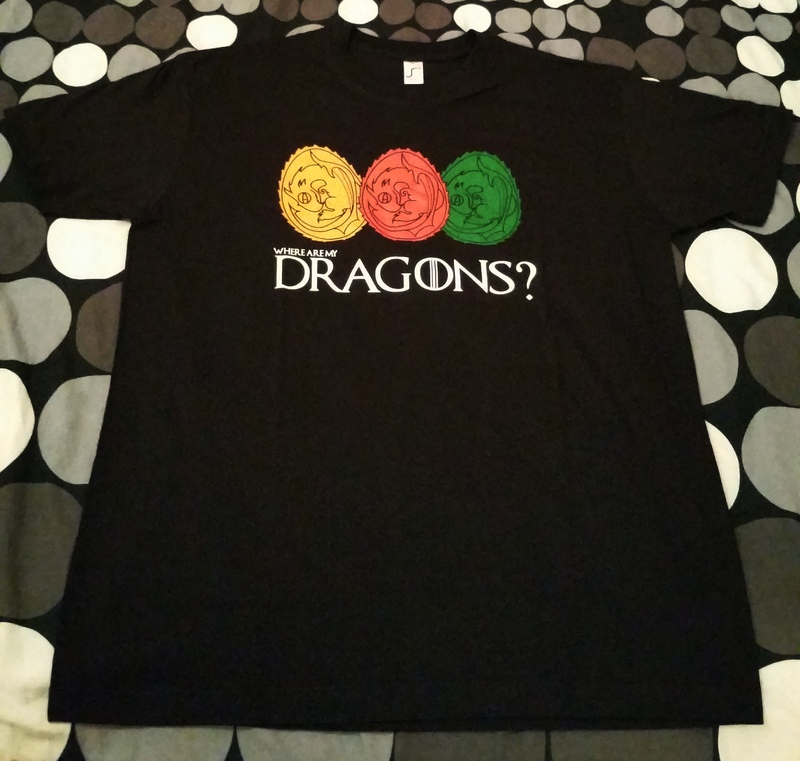 Maybe some Elder Scrolls stuff, Dragon Age, Diablo, etc. Finally, the product quality isn’t consistent between products. Some of them are good and some are pretty mediocre in my opinion. When I say mediocre, I’m referring to the sticker, the rubber wristband and the exclusive t-shirt which all feel a bit too cheap in my book. All in all, it’s a pretty good move from Jeuxvideo.com as gamers and such are pretty much avid of tie-in products. Might as well make some money out of it. Still, it needs some fine tuning here and there and definitely more video game related products. Will I keep using this WOOTBOX service? Yeah, I’ll give it another shot. Next month’s WOOTBOX will revolve around heroes. Again, a bit vague when it comes to theme, but based on July’s special 2,000€ WOOTBOX, next month’s shipping looks promising!